Michele Lauriat: Temporary Landscape closes this week! 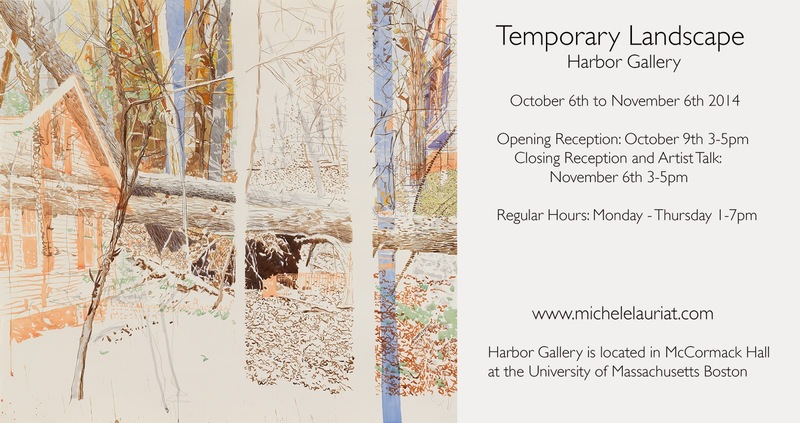 Temporary Landscape closes this week! This is the last week to see my exhibition, Temporary Landscape, at UMass Boston's Harbor Gallery. There will be a closing reception and artist talk this Thursday, November 6th, from 3-5pm. I hope some of you can make it!